Late last night New Zealand Prime Minister Jacinda Ardern announced a ban on "military-style" semi-automatic rifles in the country. "Today I am announcing that New Zealand will ban all military-style semi-automatic weapons. We will also ban all assault rifles. We will also ban all high capacity magazines," she said. "We will ban all parts with the ability to convert semi-automatic or any other type of firearm into a military-style semi-automatic weapon." Semi-automatic firearms and "military style" semi-automatic firearms function the same. The only difference between them is purely aesthetic. 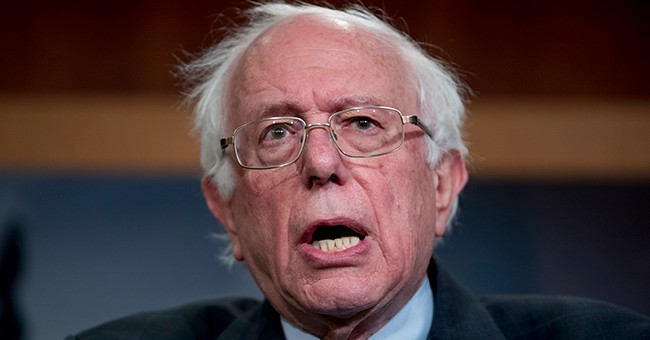 Based on the specific criteria outlined in the New Zealand ban, Sanders is calling for a ban on essentially every firearm in the United States. The functional definition of "assault rifle" in this case includes nearly all firearms in regular, legal and proper use by millions of Americans. New Zealand doesn't have a Second Amendment. The United States of America does. As a reminder, the man who helped stop the horrific mosque shooting -- which has prompted these extreme measures -- chased the shooter away with a semi-automatic handgun. Editor's note/correction: The sentence "Will he be forced to turn in his firearm, too?" was removed from the post. The gun the man used belonged to the shooter.